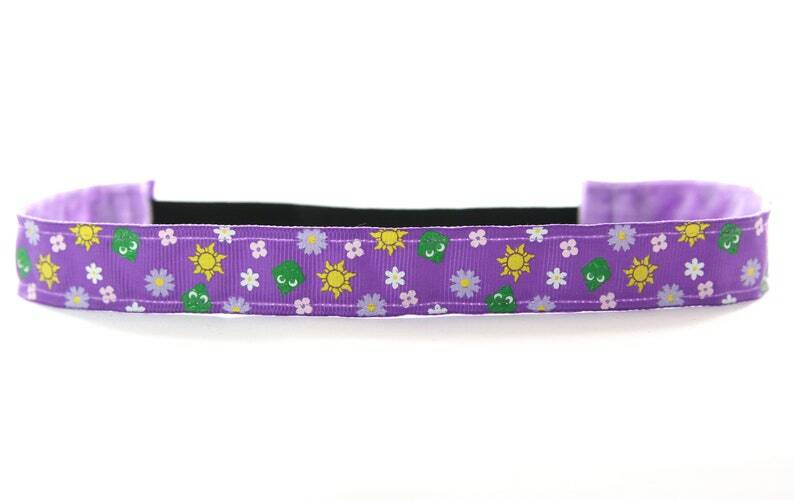 Whether you're rocking your run or the parks, this nonslip headband is perfect for every occasion! Thanks to its velvet lining and elastic back panel, this handmade headband will stretch to fit and stay in place comfortably no matter how intense your activity may be. Makes a great gift! ✄If you need a size adjustment, please convo me and I'll be happy to accommodate your request. Great headband! Matches my shirt perfectly! I love my headband and can’t wait to wear it to WDW! PayPal and credit cards (via Etsy Direct Checkout) are accepted for every purchase. All packages are shipped via USPS First Class. Tracking information will automatically be sent in an e-mail from Etsy when your shipping label is printed. If you have any questions or need to request your tracking information again, please send me an Etsy convo. We recommend hand washing your headbands with cold water and mild detergent.